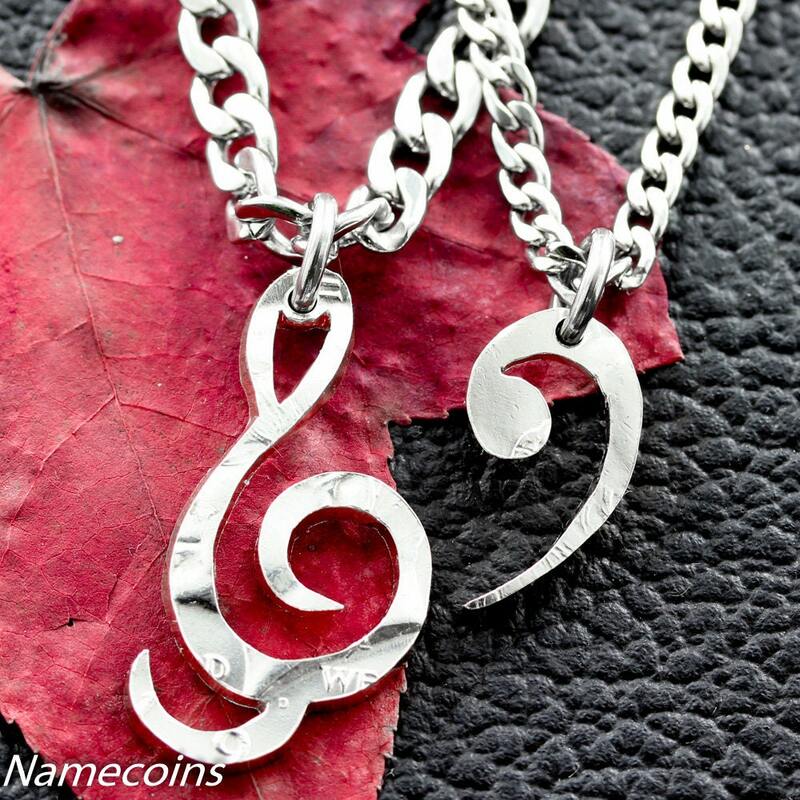 These Treble and Bass Clef necklaces have been cut from the same half dollar. 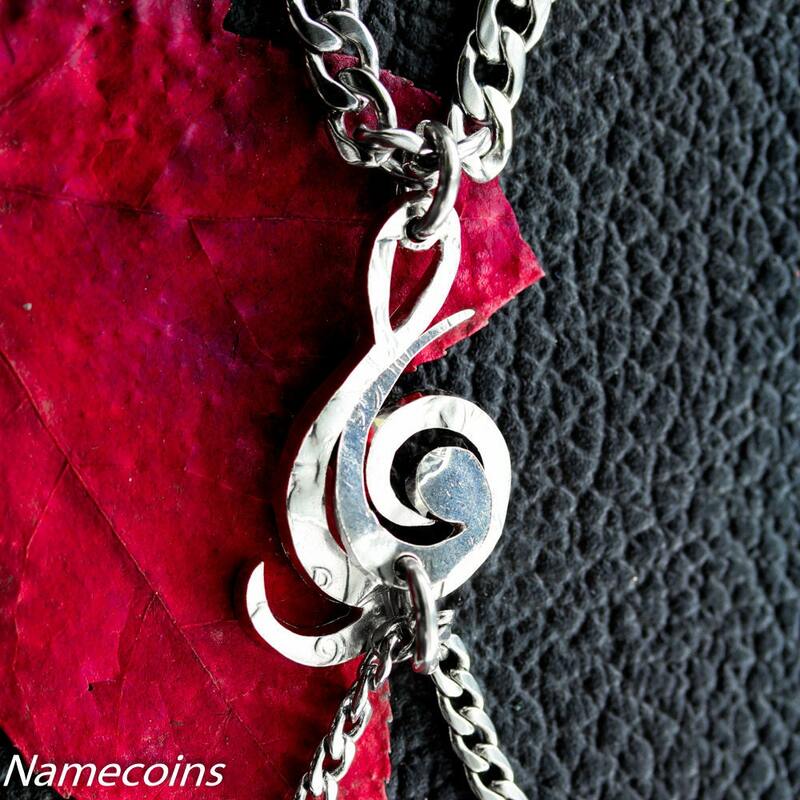 The bass clef actually will fit into the treble clef. This cool design would be great for any musical couple who wants to wear something different. It's made from the same coin and is meticulously cut by hand. We take great pride in all of our jewelry, we always like it to be perfect. I love my necklace. Very well made. It will make the perfect gift!